Indian automobile giant, Tata Motors has started generating buzz about its upcoming Tata Nano GenX. The expectations and setbacks found in current Tata Nano is expected to be present in next generation model. The new generation Tata Nano has undergone a great amount of cosmetic upgrade that has given the car grinning bumpers, new Sangria Red body colour, among the other listed features. Referring to the new smiley bumpers, Tata Motors says, “The next generation is all set to welcome you with a smile”. Just not that, taking the Tata Nano brand to a whole new level is what Tata Motors is planning for. Tata Motors has also added 2 most important and highly anticipated features to the most affordable car in the country, a functional tail gate as well as Automated Manual Transmission (AMT). The nextGen EasyShift car by Tata Nano comes with increased boot space as compared to existing generation of Tata Nano. 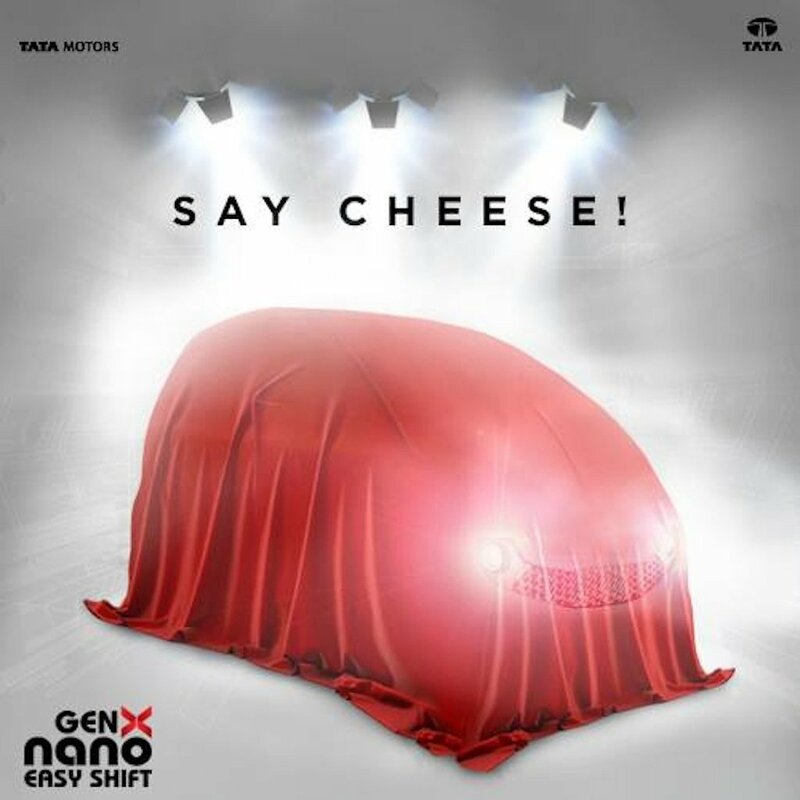 The car is expected to arrive in five Tata Nano GenX variants among which the three models– XE, XM and XT would have 4 speed manual transmission, and the remaining XM and XT would come with AMT labelled Easy Shift. The latter variants of Tata Nano are touted to deliver a mileage of 21.9 Kms per litre. Further, Tata Nano GenX would have larger 24 litre fuel tank capacity, instead of 15 litre tank as present in the current generation.